The world's first news addict's tool. This is a tool to cope with the incessant flood of news. Too many of us are junkies, unable to go for even a few minutes without an update. 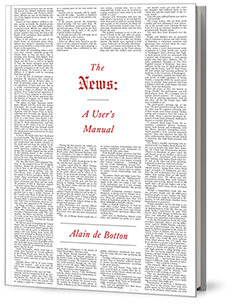 This is a tool to bring calm, understanding and a measure of sanity to our daily interactions with the news machine. 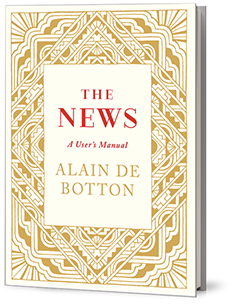 For more information on The News: a User's Manual, click here for the US/World edition, and here for the UK/EU/Australian edition.